The ongoing regeneration of Leith and North Edinburgh has received a further boost this week with the launch of Port of Leith Housing Association’s (PoLHA) new subsidiary company, Quay Community Improvements (Quay). Quay has been registered as a Community Interest Company, meaning that profits generated will go directly into the communities PoLHA works with to support social, economic and physical improvements. 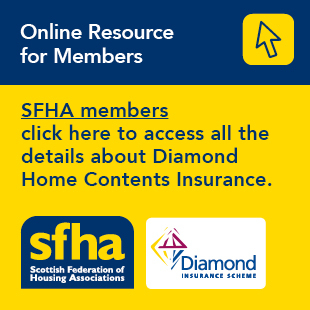 It will initially deliver stair cleaning and estate management services to around 160 stairs in North Edinburgh, and office cleaning for PoLHA’s head office in Leith. Quay will also be collaborating with PoLHA’s existing projects across the community to encourage people into work, and developing closer connections for people to support independent living. “The launch of Quay heralds a new chapter for the Association and the communities we work in. “The new company will also be delivering community initiatives in our areas of operation and we look forward to developing a range of opportunities for local people in and around Leith.